Rake Mark Web Design offer 3 great eCommerce website solutions. Each option offering different levels of design and support, meaning that you pay only for what you need and don’t get bogged down with bulky extras you don’t. eCommerce Web design and on-line selling is the fastest growing market and we want to make sure that you are fully informed about your investment, so all our managed websites have Google Analytics implemented as standard so you don’t miss a thing. All of our eCommerce websites are fully scalable and offer a fully flexible approach so that as your online business takes off your eCommerce website solution can handle the load and grow as your business does. Our eCommerce websites offer full functionality as standard, we don’t hold anything back ! 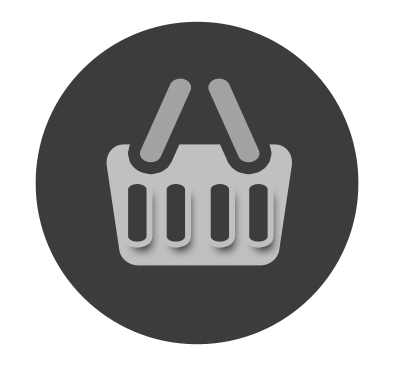 Unlimited Categories :: – Add as many categories to your e-commerce website as you like. Bespoke Design :: – *Designed to map with your current brand or perhaps something totally new. Discount Manager :: – Adding discounts is no problem with our e-commerce website solution. Unlimited Products :: – Add as many products to your e-commerce website as you like. Product Search :: – Users can search for a specific product or code. Product Variants :: – One product, multiple colours, no problem add it once, and then add the variants. Business Blog :: – Build a on-line community with an intergrated business blog within your website. As always with any Rake Mark Website, we strive to keep things simple and with our eCommerce websites things are no different. Three really straight forward options for your eCommerce website. Starting with “Simply Setup” … just what it says on the tin we’ll handle all the techie stuff but leave you to the bits you can do … all the way through to Pro, which is fully managed. The choice is totally yours and we are always more than happy to discuss your options with you if you still have questions. The perfect eCommerce solution for the ‘IT Dabbler’ who likes working things out for themselves a bit and is confident with problem solving and used to using a web interface.No Coding skills required. Ticket Support for Hosting Issues. A Great eCommerce Website Option for the busy business manager.Time is of the essence and you want to know that all the basic settings are already configured and set up ready to go. Set up with a choice of themes (colours and some Layout alternatives). Just Add Products and you’re ready to go online and sell, sell, sell. Ticket Support for Hosting & Application Issues PLUS first 3 months FREE Phone Support. Fully Managed System for the business who needs to get live and selling fast.Full and complete set-up to your specification, Designed to your specific branding and company’s needs.Custom Page Set-up and Creation with Bespoke Signposting, Legal Pack with Launch Article and Press Release.Social Media Integration.